The most comprehensive treatment of local government finance in any state that I have ever seen. 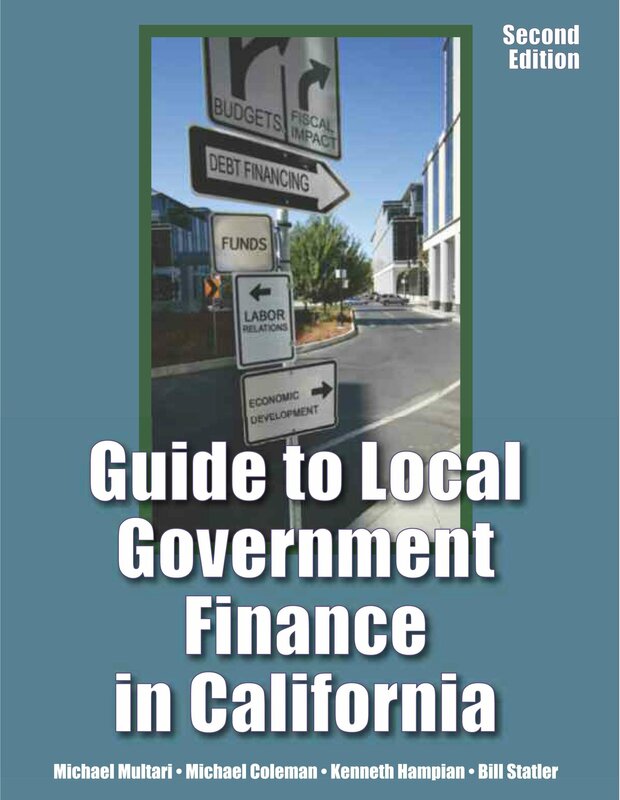 This guide will prove useful to elected and appointed local government officials, business leaders, reporters, students, faculty, and others who are struggling to understand the highly complex world of local government finance in California. Available from The League of California Cities The California Municipal Revenue Sources Handbook, 2014 Edition by Michael Coleman. The definitive resource on municipal funding for city and county managers, finance officers, academics and other professionals engaged in the complex world of municipal finance in California. Brief Glossary of Financial Management Terms; This glossary, available in English and Spanish, is designed to help non-finance experts understand some of the terminology used in public agency financial management. Institute for Local Government. Cal Facts 2018. Legislative Analyst's Office. Proposition 13 at 30: The Political, Economic and Fiscal Impacts. Conference at UC Berkeley June 6, 2008. Patterns in California Government Revenues Since Proposition 13. Michael A. Shires, Public Policy Institute of California 1999. This report examines the changes that have occurred in state and local public finance between the passage of Proposition 13 in 1978 and 1995, addressing three questions: 1) How has the share of locally controlled revenues changed? 2) How has the spending flexibility of state and local revenues changed? 3) How has the composition of state and local revenues changed? Has Proposition 13 Delivered? The Changing Tax Burden in California . Michael A. Shires, John Ellwood, and Mary Sprague, Public Policy Institute of California 1998. One question that has arisen in the debate over public finances is whether Proposition 13 has succeeded in reducing the tax burden of Californians. This report shows that it has. Proposition 13: Love it or Hate it, its Roots Go Deep. California Taxpayers Association, November 1993. No-Property-Tax Cities After Propositon 13. Bob Leland, Assembly Revenue and Taxation Committee and Julie Nauman, Assembly Local Government Committee, Sacramento, November 1980. Proposition 26 and 218 Implementation Guide. A thorough guide to California Constitution Articles XIIIC and XIIID by the League of California Cities Legal Issues Committee. May 2017. Proposition 218 Implementation Guide for Special Districts. Kelly Salt. California Special Districts Association. 2013. Current Developments Under Propositions 13, 62, & 218 by Michael G. Colantuono. Proposition 26 Guide for Speical Districts by Kelly Salt. California Special Districts Association. 2013. In November 2004, the voters of California approved Proposition 1A, an amendment to the California state constitution intended to restore predictability and stability to local government budgets. Note: Proposition 1A does not contain the provisions of the "VLF-for-Property-Tax-Swap of 2004" nor the ERAF III local government contributions. These were part of the State Budget Act of 2004. About California Cities. Lists, powers, types. League of California Cities. Charter Cities in California. League of California Cities. The Council-Manager form of Government: Frequently Asked Questions. International City Management Association. City Fact Sheet. Fast facts re California city demographics and finances. California Senate Local Government Committee August 2009. County Fact Sheet. California Senate Local Government Committee August 2009. Special District Fact Sheet. California Senate Local Government Committee August 2009. Guide to the Cortese-Knox-Hertzberg Local Government Reorganization Act. Assembly Committee on Local Government December 2005. Commission on Local Governance for the 21st Century. Final Report "Growth Within Bounds." January 2000. Resources from the California Association of Local Agency Formation Commissions (CALAFCO). City Fiscal Conditions. Research surveys published by the National League of Cities. Get the Diagnostic for cities here: Excel version PDF version January 2016 revision. The January 2016 version adds a new indicator: "#3 Capital Asset Condition," makes various minor edits and improvements, and adds a checklist for important financial management policies. Financial Management for Elected Officials. Institute for Local Government. State-Local Fiscal Conflicts in California: From Proposition 13 to Proposition 1A. Elisa Barbour, Public Policy Institute of California. December 2007. An excellent overview. Overview of State Assistance to Local Governments Since Proposition 13 Assembly Local Government Committee, California State Legislature 1983. A detailed description of legislative changes to state assitance and property tax allocations in the five years following Propositon 13. Perspectives on Local and State Finance and Infrastructure in California: Surveys of City Officials and Residents. Mark Baldassare, Christopher Hoene, and Dean Bonner. Public Policy Institute of California. The State-Local Fiscal Relationship in California: A Changing Balance of Power . Fred Silva and Elisa Barbour, Public Policy Institute of California 1999. In 1992, facing a serious deficit position, the State of California began shifting local property tax revenues from cities, counties and some special districts into these funds to reduce the cost of education to the state general fund. Net Impact of ERAF, Prop 172 and COPs (73k) ERAF, Proposition 172 and COPs apportionments for all cities, counties and special districts. Insufficient ERAF: A Recent Issue in Local Government Finance. Legislative Analyst's Office, December 18, 2012. ►Suspended State Mandates for FY2017-18 . Not reimbursable. Understanding State Mandates and Suspended Mandates: Local Government Impacts. Western City Magazine. March 2014. Mandate FAQ from the California State Controller's Office. California Commission on State Mandates Info on reimbursable PropTaxLCC state mandates. Mandated Cost Claim filing instructions payment info, reports and related information from the California State Controller. Timeline for dissolution of redevelopment agencies under ABx1_26. Frozen property tax allocations may not be the most efficient or preferred allocation now. Inefficiencies persist due to the fragmentation of policy and finance among too many local authorities and the decline of general purpose government policy making authority. Property Tax Fairness Among Local Governments Means Consolidating Local Governance. Michael Coleman, Nov 1999. CalTax Digest. Allocating the Property Tax . by Legislative Analyst Elizabeth Hill, July 2000. CalTax Digest. Demystifying The California Property Tax Apportionment System. by Dave Elledge, 2006. A step by step guide through the process County Auditors use to allocate property tax revenues among local governments. Property Tax Essentialsï¿½What You Need to Know about How County Auditor-Controllers Allocate Property Taxes. A February 2007 CSMFO podcast panel with Santa Clara County Auditor-Controller Dave Elledge. The disconnect between service costs and revenues in urban development impairs the provision of city services and deters balanced planning. Does New Housing "Pay For Itself?" Some say a study sponsored by the California Home Builders says "yes" but experts in local finance and land use economics question this conclusion and some methods and assumptions of the study. Paul G. Lewis and J. Fred Silva, September 2001. Paul G. Lewis and Max Neiman. Public Policy Institute of California. July 2000. California Cities and the Local Sales Tax. Paul G. Lewis and Elisa Barbour. Public Policy Institute of California, July 1999. Growth Challenges and Local Government Finance: A Primer for the Sacramento Valley . Paul G. Lewis and J. Fred Silva, Public Policy Institute of California 1999. Development Priorities in California Cities: Results from a PPIC Survey. Paul G. Lewis and Elisa Barbour, Public Policy Institute of California. December 1998. Revenue Volatility in California. Legislative Analyst's Office. January 2005. E-Commerce reports and studies. California State Board of Equalization. Why Have Sales Taxes Grown Slower Than the Economy? Legislative Analyst's Office 2013. E-Commerce Taxation . Links to reports, background papers and statistics. Prepared by Dr. Annette Nellen. Streamlined Sales Tax Project (SSTP). Multi-state project seeking improvement and standardization of sales and use taxes. SSTP California Board of Governance representing California on the Streamlined Sales Tax Project pursuant to SB157 (Chapter 702, 2003) including meeting agendas and reports. The Streamlined Sales and Use Tax Agreement: A California Perspective, Martha Jones, California Library Research Bureau, Feb 2005. Analysis of Specific Sections of the SSTP Agreement by Board of Equalization staff. Ride Sharing in the New Economy: Regulatory options for cities by Joan Borger and Rebecca Moon. June 2015 Western City. The Home Sharing Economy in Cities: Regulatory options for cities by Trevor Rusin and Andrea Visveshwara. August 2015 Western City. There have been more than a dozen task forces, commissions, studies and proposals on local government finance reform over the last decade alone. Here are some articles on the problem, ideas, and analyses of recent proposals. It is important to note that, in 2004, two important changes occurred in the state-local fiscal relationship: the passage of Proposition 1A of 2004, and the swap of $4 billion of state Vehicle License Fee backfill payments to cities and counties for greater shares of local property tax revenues. These major changes make obsolete some of the recommendations in pre-2004 reports. California Local Government Fiscal Reform . The problems, policy goals, policy questions and tensions. An outline with flow chart by Michael Coleman. Perspectives on State and Local Finance in California: Surveys of City Officials and Residents Mark Baldassare and Christopher Hoene, Public Policy Institute of California Oct 2005. ► California Crack-Up: How Reform Broke the Golden State and How We Can Fix It. Joe Matthews and Mark Paul. UC Press. 2010. A thoughtful, readable analysis of our state governance and finance problems with cogent ideas for reform. The best writing on this subject yet. Report of the Summit on State Governance and Fiscal Reform July 17-18, 2009. Cities Counties Schools (CCS) Partnership. Governing the Golden State: A Critical Path to Improve Performance and Restore Trust. July 2004. See Appendix D starting on page 75 for a good summary of prior reform efforts and recommendations. "Roadmap for Reform." Remarks by Michael Coleman before the Little Hoover Commission, March 25, 2004. Historic Opportunities: Transforming California State Government. Dec 2004. Speaker's Commission On State and Local Government Finance (1999). Fiscal Analysis of Speaker's Commission Proposal to Swap a Portion of the Bradley Burns Local Sales Tax for Property Tax (12/8/1999) Summary of the proposal and an initial analysis of fiscal impacts on individual cities using FY96-97 revenue data. Michael Coleman. (PDF). Fiscal Impacts of the Proposal of the Speaker's Commission On State and Local Government Finance. Detailed fiscal impact and policy analysis of the fiscal restructuring proposals of the commission by Michael Coleman. (PDF). Commission on Local Governance for the 21st Century. Final Report "Growth Within Bounds." January 2000. Established in 1997 by then Assembly Speaker Robert Hertzberg, this commission was charged with examining the laws governing city, county and special district boundary changes. But its recommendations cover local government finance as well. Kathleen Connell's SMART/SMARTER Plan for Local Government Finance Reform (1999). California Constitution Revision Commission (1996). Final Report. See Chapter V: "Establishing a new local government structure and finance system"
AB1221 (Steinberg/Campbell) (2003-04) "The most significant legislative proposal affecting California city finance since the turn of the century," (- League of California Cities) AB1221 was intended by its authors to encourage cities and counties to ï¿½make land use decisions based on the best interests of their communities and not simply based on what generates the most sales tax.ï¿½ Bill text and legislative committee analyses. AB680 (Steinberg) Sales Tax Reallocation Proposal (2001-02). Pilot proposal for the reallocation of a portion of local sales tax revenue growth. Bill text and legislative committee analyses. AB680 (Steinberg) Sales Tax Reallocation Proposal. A memo by Michael Coleman clarifying some common misunderstandings. Exploring Reform in California Municipal Finance. UC Davis Extension: Planning in California - An Overview and Update. October 2011. California Local Government Fiscal Reform. The problems, policy goals, policy questions and tensions. An outline with flow chart by Michael Coleman. League of California Cities' Pension Information Center: "Retirement System Sustainability"
Donald J. Boyd and Peter J. Kiernan, "Strengthening the Security of Public Sector Defined Benefit Plans" Nelson A. Rockefeller Institute of Government January 2014. An excellent reveiew of the issues. Reducing Unfunded Liabilities for Other Post-Employment Benefits by Nancy Kerry. May 2015 Western City. California Public Employee Post-Employment Benefits Commission. Final Report on state OPEB obligations issued January 2008. Public Employee Pension Costs in California, a presentation to the Council of State Governments, November 12, 2009, by the Legislative Analyst's Office. 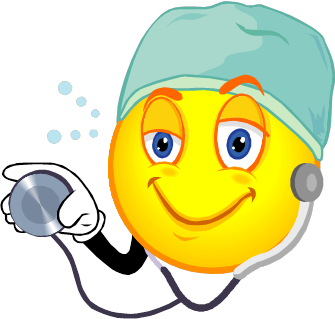 Retiree Health Care FAQ. Legislative Analysts Office. "State Retiree Costs May Skyrocket in Future Years" from the 2009-10 Budget Analysis. Legislative Analyst's Office. The largest source of revenue for city and county government, the complex machinations of California property tax assessment, collection and allocation are understood by few. Understanding California's Property Taxes. Legislative Analyst's Office 2012. Property Tax info and resources from the State Board of Equalization: assessment rules, exemptions, etc. Chapter 4: Local Property Tax from the Revenue and Taxation Reference Book 2003. Assembly Committee on Revenue and Taxation. Thorough review of the history, rules, administration, collection and allocation of California's property tax. California State Board of Equalization Annual Reports. Property tax, sales and use tax, motor vehicle fuel license tax, and more data on BOE administered revenues. Significant Features of the Property Tax. An online database of property tax information for all 50 states prepared by the Lincoln Institute of Land Policy and the George Washington Institute of Public Policy. Tax Expenditure Reports. California Department of Finance. Includes description and value of property tax exemptions. Demystifying The California Property Tax Apportionment System. by David G. Elledge, 2006. A step by step guide through the process County Auditors use to allocate property tax revenues among local governments. Overview of State Assistance to Local Governments Since Proposition 13. Assembly Local Government Committee, California State Legislature 1983. A detailed description of legislative changes to state assitance and property tax allocations in the five years following Propositon 13. Allocating the Property Tax. by Legislative Analyst Elizabeth Hill, July 2000. CalTax Digest. Reconsidering AB 8: Exploring Alternative Ways to Allocate Property Taxes . Legislative Analyst's Office Feb 2000. Property Taxes: Why Some Local Governments Get More Than Others. Legislative Analyst's Office, August 20, 1996. Statewide Property Tax Shares ï¿½ Cities, Counties, et al . A discussion by Michael Coleman of how (and how not) to calculate the relative typical and statewide shares of property tax revenues among cities, counties and other local governments. VLF Adjustment Amounts: FY04-05 True-Up and FY05-06 Calculations. State Controller's Office calculations of true-up of city and county FY04-05 Property Tax in Lieu of VLF amounts (column F) and FY05-06 Property Tax in Lieu of VLF amounts (column K). These are the amounts that county auditors will transfer in FY05-06. State Controller's Office. Oct14,'05 (PDF). NOTE: Property Tax in Lieu of VLF, also called Vehicle License Fee Adjustment Amount (VLFAA) is Property Tax, not VLF. It should be budgeted, accounted for, and reported as property tax, not VLF and not intergovernmental. To avoid confusion, it should be called "Property Tax in Lieu of VLF" and not "VLF." Annexations and Incorporations: Lingering Effects of the VLF Swap and State Shifts. Charts illustrating VLF and Property Tax VLF funding for cities, annexations and incorporations. ► Incorporation and annexation: Then and Now. Charts comparing General Fund revenues for annexations and incorporations before 2004 and now. California Property Tax Assessors Handbook. California State Board of Equalization. Directory of California County Assessors. California State Board of Equalization. County Tax Collectorsï¿½ Reference Manual. California State Controller. The second largest source of general purpose revenue for cities statewide and the largest for some California cities, the sales and use tax faces a tenuous future. The local component of the sales and use tax is distributed to cities and counties primarily on point-of-sale. Sales & Use Tax info and resources from the California Department of Tax and Fee Administration: rates, procedures, exemptions, etc. Detailed Description of the Sales & Use Tax Rate. California Department of Tax and Fee Administration. Breakdown of the allocation of the basic 7.5% sales and use tax rate (includes 0.25% additional voter approved rate effective 1/1/2013 ending 12/31/16. Does not include local district transactions and use taxes. California City and County Sales & Use Tax Rates. California Department of Tax and Fee Administration. Schedules and tables including composite rates by locality and a list of those jurisdictions with district tax rates (add-on transactions and use taxes). Tax Expenditure Reports. California Department of Finance. Annual reports detailed stipulated tax exemptions with costs (expenditures) and history of relevant legislative actions. Local Sales & Use Tax Allocations. Back through FY2007-08 updated monthly. Payments from the 1% local sales tax, the 1/4% countywide transportation sales tax, and from local sales tax (transactions & use tax) add-on rates. California State Board of Equalization. Quarterly Distributions of the Local Bradley Burns and Add-on Rates. California State Board of Equalization. Local Sales & Use Tax Revenues (SCO). Historic revenues by city from the 1% Local Bradley Burns rate, revenues per capita, summary statistics as reported by local agencies to the State Controller. Through FY11-12. August'14 (Excel) Caution: may or may not include add-on rates, triple flip reimbursements. BOE statistics (above) are more reliable. California State Board of Equalization Annual Reports. Sales and use tax, property tax, motor vehicle fuel license tax, and more data on BOE administered revenues. California City and County Sales & Use Tax Rates. California State Board of Equalization. Schedules and tables including composite rates by locality and a list of those jurisdictions with district tax rates (add-on transactions and use taxes). Department of Finance letter to counties explaining the final reimbursement. Final Reimbursement calculations for each county. Payments to be made to county Sales and Use tax funds on July 7, 2016 for disbursement within 60 days. Estimated Sales and Use Tax Compensation Fund Allocations. State Department of Finance estimated sales and use tax compensation fund amounts (triple flip compensation) for cities and counties including prior year settle-up amounts. Via HdL Companies. “Sales Taxes in an E-Commerce Generation” David R. Agrawal and William F. Fox. University of Kentucky. August 1, 2015 <=argument for destination sourcing. “Marketplace Fairness Coalition Lends Strong Support to New Chaffetz Effort Aimed at Closing Antiquated Online Sales Tax Loophole” June 2015. “Origin Sourcing and Tax Incentive Programs: An Unholy Alliance” by Jennifer Carr. State Tax Notes. May 27, 2013. City Competition for Sales Tax: Symptom of A Larger Problem? Paul G. Lewis and Elisa Barbour Nov 1999 Western City. Electronic Commerce and Mail Order Sales: Revenue Estlimate. State of California Board of Equalization. August 2013. Narrowing the Gap: Options for Boosting California's Sales Tax Collections From Online Retailers. California Budget Project April 2011. California's Use Tax. A handout summary of the issue by the Legislative Analyst's Office Feb2011. Why Have Sales Taxes Grown Slower Than the Economy? Legislative Analyst 2013. Should California Extend the Sales Tax to Services? California Budget Project 2011. Expanding Sales Taxation of Services: Options and Issues Michael Mazerov, Center on Budget and Policy Priorities, July 2009. Publication 61: Sales and Use Taxes: Exemptions and Exclusions. California State Board of Equalization. Tax Expenditure Reports. California Department of Finance. Other Locally Adopted Revenues: Business Tax, Hotel Tax and Others. Business permit, tax, and license requirements of California cities, counties and others from CalGOLD. Administration of TOT: County Tax Collectorsï¿½ Reference Manual - Chapter 1300 Transient Occupancy Tax. California State Controller 2012. NOTE: TOT is administered by each individual city and county but the State Controller Manual provides guidelines for best practices. Fees, Permits, Fines and Forfeitures, etc. Video Service Franchising: AB2987 of 2006: AB2987 (Nï¿½ï¿½ez/Levine) text. Assembly Floor Analysis. Approval Requirements for State and Local Revenues . A summary of the voting requirements for state and local revenue increases. Resources for Ballot Measure Activities. Explainations of the restrictions on using public resources (including staff time, agency supplies and other resources paid for with taxpayer dollars) for ballot measure activities. Institute for Local Government. Established in 1935 as a uniform statewide tax, the VLF is a tax on the ownership of a registered vehicle in place of taxing vehicles as personal property. By law, all revenues from the VLF fund city and county services, but the state legislature controls the tax rate and the allocation among local governments. In 2004, the Legislature permanently reduced the VLF tax rate and eliminated state general fund backfill to cities and counties. Instead, cities and counties now receive additional transfers of property tax revenues in lieu of VLF. Property Tax in Lieu of VLF, also called Vehicle License Fee Adjustment Amount (VLFAA) is Property Tax, not VLF. It should be budgeted, accounted for, and reported as property tax, not VLF and not intergovernmental. To avoid confusion, it should be called "Property Tax in Lieu of VLF" and not "VLF." State Controller VLF Apportionment Reports. ✔ Regarding infrastructure bond funds, see "2006 Infrastructure Bonds: Proposition 1B, 1C, 84" under California State Budget. ✔ Regarding the history and issues surrounding state funding of California municipalities, see "The State-Local Fiscal Relationship." ✔ Regarding transportation funds (Prop 42 gas tax, highway users tax, etc., see "Transportation Funding." Supplemental Law Enforcement Account (SLESA) / Citizens Option for Public Safety (COPS). Frontline Law Enforcement allocations. California State Controller. Citizens Option for Public Safety (COPS) Growth Account California State Controller. Uniform Guidelines For the Implementation of Assembly Bill 1805 Concerning Provisions Relative to Changes in Jail Booking Fee Charges Effective July 1, 2007. See also Educational Revenue Augmentation Fund (ERAF) for specific statistics and explanation. Disability Access and Education Fee. Senate Bill (SB) 1186 (Chapter 383, Statutes of 2012) created Government Code Section 4467. Among other things, this statute requires a one-dollar additional fee to be paid by any applicant for a local business license, permit or similar instrument when it is issued or renewed. Homeowners' Exemption. Assembly Committee on Revenue and Taxation Revenue and Taxation Reference Book 2006 Chapter 6E. California State Controller's Office Apportionments. Detailed tables showing the allocation of local government revenues administered by the State Controller. California State Library Grants Information. The California State Library administers grant programs to libraries including: Library Services and Technology Act (LSTA), federal grants, and Library Bond Act of 2000 for construction and renovation of public library facilities. California Department of Education Grant Funding. The California Department of Education operates a large number of programs that provide funds to schools and other organizations for a variety of educational purposes. California Department of Water Resources. GRanTS system to apply for, and manage grants administered by the department. California Department of Housing and Community Development. State and federal grants and loans for rental and homeownership, including veterans, seniors, young families starting out, people with disabilities, farmworkers, and individuals and families who are experiencing homelessness. California Commission on State Mandates Info on reimbursable state mandates. California Department of Transportation Local assistance programs. California Department of Parks and Recreation Grants and Local Services. California Energy Commission Energy Partnership Program. Community Development Block Grant (CDBG) Neighborhood Stabilization Program (NSP). Emergency funding targeted to cities and states to ease the burden of vacant and abandoned houses on neighborhoods that have high rates of foreclosure. Community Oriented Policing Services (COPs) law enforcement grants. Federal Grants information at Grants-Dot-Gov. Best practices guide for local officials regarding the Affordable Care Act. The U.S. Department of Health and Human Services. California Transportation Commission Annual Reports. Including funding and use statistics. A Dozen Reasons for Raising Gasoline Taxes. Martin Wachs. Institute of Transportation Studies, UC Berkeley. March 1, 2003. Transportation For Economic Development. A study of the potential economic benefits of transportation improvements to impoverished areas of California by Cambridge Systematics, Inc. under a contract with the CalTrans. Financing Transportation in California: Strategies for Change. Matthew Adams, Rachel Hiatt, Mary C. Hill, Ryan Russo, Martin Wachs, and Asha Weinstein. Institute of Transportation Studies, UC Berkeley. March 31, 2001. ►California Local Streets and Roads Funding Explainer ï¿½ with Updated Estimates for 2018-19 and FY2019-20. City and county allocation estimates based on Dept of Finance estimates released with the May Revision to the Governor's proposed budget May 11, 2018. Includes the effects of SB1, The Road Repair and Accountability Act of 2017. ►Local Streets and Roads Estimates FY2018-19 and 2019-20 HUTA, RMRA and Loan Repayment estimates for cities and counties. January 2019 estimates for both years with HUTA sources combined. Sorted by County ... by Assembly District ... by Senate District. New Fuel Tax Funding: "Road Repair and Accountability Act of 2017"
League of California Cities Hot Topic: Transportation Funding including an "SB1 Toolkit" with press release templates, talking points, sample resolutions for project list adoption, and other helpful links. California State Association of Counties SB1 resources page with explanations and links. California Local Streets and Roads Funding Explainer – with Updated Estimates for 2018-19 and FY2019-20 city and county allocation estimates based on Dept of Finance revenue estimates released with Governor's proposed budget January 2019. Includes the effects of SB1, The Road Repair and Accountability Act of 2017. The California Transportation Committee (CTC) has formally adopted their Local Streets and Roads Annual Reporting Guidelines on August 16. These guidelines outline the process for cities to submit their project lists and expenditure reports to the CTC to establish eligilbilty for recieving SB 1 funds. California Transportation Commission SB1 Implementation Information. California Transportation Commission Annual Reporting Guidelines. ►Frequently Asked Questions (FAQ) regarding the RMRA MOE Can I use my CIP and Operational Costs to meet my MOE requirement? Why is my MOE number so high? What do I do if I think my number is too high? ... and more. Guidelines re Gas Tax Expenditures for Cities and Counties. (Under "Other") California State Controller. Highway Users Tax allocations. Detailed records of recent payments to cities and counties of state motor vehicle fuel tax (gasoline excise tax) under Streets and Highways Code Sections 2104-2107.5. State Controller's Office. Road Maintenance and Rehabilitation Account - Cities. Records of recent payments to cities of state motor vehicle fuel tax (gasoline excise tax) from SB1, the Road Repair and Accountability Act of 2017 through the Road Maintenance and Rehabilitation Account (RMRA) under Streets and Highways Code Sections 3290. State Controller's Office. Road Maintenance and Rehabilitation Account - Counties. Records of recent payments to counties of state motor vehicle fuel tax (gasoline excise tax) from SB1, the Road Repair and Accountability Act of 2017 through the Road Maintenance and Rehabilitation Account (RMRA) under Streets and Highways Code Sections 3290. State Controller's Office. Board of Equalization (BOE) News Conference on the Fuel Tax Swap. February 2014 A good explanation of the fuel tax swap and the BOE's rate setting role. Review of Methodology for Gas and Diesel Excise Tax Rate Adjustments Under the "Fuel Tax Swap". Capitol Matrix Consulting. February 2014. Explanation and of the swap and review of BOE's role and methods. Fuel Tax Swap Staff Memorandum for the California State Board of Equalization February 12, 2014. Includes background information on the swap and the calculations behind the staff's recommended 2014 rate adjustment. HUTA Headaches. Michael Coleman February 2014. Powerpoint slides illustrating the Fuel Tax Swap and its effects. Achieving General Fund Relief From Transportation Funds. Legislative Analyst's Office. January 2011. An explanation of the fuel tax swap, interactions with Proposition 22 and Proposition 26 and the Governor's 2010 budget proposal to fix the swap. Proposition 1B: Comprehensive Program information. Text of the law: SB1266 Perata and Nunez. Local Streets and Roads program. City and county allocations Calif State Controller. Determining the Appropriate Level of Unrestricted Fund Balance in the General Fund. Government Finance Officers Association. Sizing Your Reserves. Slides from a 2013 GFOA presentation by Pall Gundgeirson, Kara Skinner, and Shayne Cavagnaugh. Fiscal Issues Related to General Fund Reserves. Thoughtful policy analysis for the City of Tracy. Zane H. Johnston 2006. The Adoption of Reserve Policies in California Cities. Anita Lawrence 2001. Special District Reserve Guidelines. California Special Districts Association 2013. The Article XIIIB Appropriations Limit. A guide to the completing your agency's calculations Chapter Ten of the 2014 Edition of the California Municipal Revenue Sources Handbook. California Debt Issuance Primer and Overview. A 40 page summary of the comprehensive California Debt Issuance Primer including on-line links. California Debt and Investment Advisory Commission, Office of the State Treasurer. Oct 2005. (PDF). California Debt Issuance Primer. Extensive, comprehensive guidebook on municipal debt financing in California. On-line version is regularly updated. California Debt and Investment Advisory Commission, Office of the State Treasurer. March 2006. 660 pages (PDF). An Overview of (California) Local Government Bond Issuance Trends (1985-2005) California Debt and Investment Advisory Commission, Office of the State Treasurer. 2008. (PDF). Guidelines for Mello-Roos Financing. California Debt and Investment Advisory Commission, Office of the State Treasurer. 1991. (PDF). Guidelines for Leases and Certificates of Participation. California Debt and Investment Advisory Commission, Office of the State Treasurer. 1993. (PDF). Looking Beyond the Horizon: California Debt Affordability Reports. California State Treasurer. California Debt Issuance Database. California Debt and Investment Advisory Commission, Office of the State Treasurer. The California Infrastructure and Economic Development Bank (I-Bank). Located within the California Business, Housing and Transportation Agency, I-Bank finances public infrastructure and private investments that promote economic growth, revitalize communities and enhance the quality of life throughout California. The California Debt and Investment Advisory Commission (CDIAC). CDIAC provides information, education and technical assistance on public debt, investments, and economic development financing tools to local public agencies and other public finance professionals. California Statewide Communities Development Authority (CSCDA). CSCDA is a joint powers authority sponsored by the California State Association of Counties and the League of California Cities to provide local governments and private entities access to low-cost, tax-exempt financing for projects of public benefit. Government Finance Officers Association Advisory: Pension Obligation Bonds. "GFOA recommends that state and local governments do not issue POBs...."
Pension Obligation Bonds: Risky Gimmick or Smart Investment? by Eric Schulzke. Governing Magazine. January 2013. An Introduction to Pension Obligation Bonds and Other Post-Employment Benefits. Third Edition. Roger Davis. Orrick, Herrington & Sutcliffe. Pension Obligation Bonds: Are States and Localities Behaving Themselves or Do the Feds Need to Get Involved? by Allan Beckmann. Spring 2010. A paper submitted to the faculty of the University of North Carolina at Chapel Hill in partial fulfillment of the requirements for the degree of Master of Public Administration. California agencies gamble on pension bonds to cover debts and lose by Jennifer Gollan. October 2013. Center for Investigative Reporting. California State Budget: Content and Analysis. Regarding impacts of the state budget on municipalities see "Cities and the California State Budget." ♦Historical State Budget Revenue and Expenditure Data. Legislative Analyst's Office. Excel pivot tables of state revenues and expenditures through the current year. Best data source. ♦Summary Budget Schedules and Charts. Department of Finance. California Department of Finance homepage - including other budget links. Legislative Analyst's Office Budget Reports including analyses, and hearing hand-outs. California Budget & Policy Center. CBPC State Tax Policy Briefs. Next-Ten's California Budget Challenge. Roll up your sleeves and create your own state budget for the next 10 years. Informative and well crafted. You'll also find quick facts and briefing sheets on major state financial issues. Tax Expenditure Report. California Department of Finance. Tax Expenditures: Policy Issues. California Legislative Analyst 2009. Tax Expenditure Programs. California Legislative Analyst 2007. Regarding the history and issues surrounding state funding of California municipalities, see "The State-Local Fiscal Relationship." See Latest info on state budget and legislative issues from the League of California Cities. City Advocate Weekly, League of California Cities. Recent presentations on state budget impacts. The Data Source Handbook A list of state, federal and private data providers in subject areas related to the people of California. California Department of Finance. California Department of Finance - Price and Population Data for the Calculation of Appropriation Limits. Go to bottom of the page. California Department of Finance - Reports. California Employment Development Department Labor Market Information. U.S. Census Bureau Government Statistics Census of Governments, Government Finance and Employment Classification Manual, Governments Integrated Directory public employment & payroll, federal state and local government finance, public employee retirement systems, state and local government tax collections, federal expenditures, Federal Audit Clearinghouse, criminal justice statistics, elementary-secondary education statistics, library statistics. U.S. Census Bureau - Local Government Employment Data. Statewide summary. U.S. Census Bureau - California (or other state) Quick Facts. State and county demographic statistics and more. U.S. Census Bureau - California QuickFacts. Various summary facts and links to datasets on California.
. Selected data from the American Community Survey from the California Department of Finance. US Department of Housing and Urban Development "State of the Cities Data System" Data for individual metropolitan areas, central cities, and suburbs. Detailed demographic and economic characteristics of the population; unemployment rates; information on jobs, business establishments, and average pay in the 1990s; and FBI crime data. State Controller's Monthly Analysis of State General Fund Cash Flow and Economic Snapshot. California Department of Transportation Division of Research, Innovation and System Information. A variety of California streets and highways statistics. National Association for Business Economics. DataQuick Real Estate News. Home sales, pricing, and mortgage charts and statistics. Financial Forecast Center. An assortment of US economic data and forecasts. City-Data.com. Profiles of US cities and towns with graphs and data drawn from a wide variety of sources. California State Budget Includes summary charts and tables on various state and local revenues. Next-Ten. Well crafted informational tools regarding California's Budget and Infrastructure. Monthly Finance Bulletin California Department of Finance. California State Board of Equalization Annual Reports sales and use tax, property tax, motor vehicle fuel license tax, and more data on BOE administered revenues. California Department of Tax and Fee Administration. Explanatory materials on various CDTFA administered taxes. California State Board of Equalization - Pre-July 2017 Research and Statistics. Most funtions of the BOE were reorganized into the CDTFA in July 2017. California State Controller's Office Local Government Apportionments. Reports of allocations of State Controller administered state revenues to local governments, state mandate reimbursements and other information. California State Controller Guides, Manuals, and Reference Materials for local agencies Accounting, expenditure and auditing standards and references. California Franchise Tax Board Annual Reports. Concerning FTB administered taxes. Tax Policy Center Statistics Comparative tax information. Compiled by the Urban Institute / Brookings Institution. State Controller's Office Local Government Annual Reports. Reported revenues and spending for California local governments. ByTheNumbers.sco.ca.gov. City and County financial data from annual reports submitted to the state controller 2003-2013. Selectable data with nifty instant displays. NOTE: Data files on this site (also from state Contoller reports) provide detail by city back to 1991, more detailed breakdown, per capita adjustments and more. See for example Property Tax by city. California Debt and Investment Advisory Commission publications including debt issuance data and issue briefs. Summary of State and Local Finances. The HdL Companies Briefing sheets and data on local sales taxes and property taxes. State Grants Database. Listing of grant programs administered by the state of California. California Coastal Commission Local Coastal Program Grants. California Department of Housing and Community Development Loan and grant programs. Western City Magazine Monthly magazine of the League of California Cities. Public Policy Institute of California A private, nonprofit organization dedicated to independent, nonpartisan research on California's economic, social, and political issues. The Tax Policy Center. Provides analysis and facts about tax policy. A joint venture of the Urban Institute and Brookings Institution. National League of Cities special reports. Topic: Finance. Legislative Analyst's Office Provider of fiscal and programmatic expertise and nonpartisan analyses of the state's budget to the California Legislature. CalTaxDigest articles from the California Taxpayers Association. California Research Bureau reports, an office of the California State Library. California Budget & Policy Center A nonprofit research and public education organization addressing state fiscal policy. California Constitution, Searchable. California Legislative Counsel. California Law Codes, Searchable. California Legislative Counsel. California Administrative Regulations. California Office of Administrative Law. California Court Decisions. Judicial Council of California. Attorney General Opinions. California Attorney General's Office. California Municipal Law Handbook League of California Cities. Colantuono, Highsmith, Whatley PC. Papers reviewing the latest legal issues in California local government finance. Search California Legislation. Searchable, includes text, status, votes and committee analyses. California Legislative Counsel. California Legislative and Legal History index. UCSF Hastings Law Library. Legislative Analyst's Office Non-partisan advisor to the State Legislature. Board of Equalization Legislative Analyses and Bulletins including bills concerning property taxes and sales taxes. The Roundup. Daily news from the state capitol. California City and County Codes and Charters (UC Berkeley Institute of Government Studies Library). California Land Use Planning Information Network information relating to California land use planning issues including city and county zoning ordinances, environmental assessment documents, maps, plans, photos, reports/publications, and spatial data. California Local Planning Documents Database (UC Berkeley Institute of Government Studies Library) - Searchable database of city and county planning documents collected by the IGS Library. California Secretary of State's Ballot Pamphlets On-line 1996 onward. California Secretary of State's Ballot Initiative Updates. California Attorney General: Initiative Measures in circulation . Full text of proposed initiative measures. California Ballot Propositions Historic since 1911. Hastings College Law Library. County Auditor and Tax Collector Names and Contact Information. Summary of Key Personnel. State Controllers Office. California Planners' Book of Lists by the Governor's Office of Planning and Research. 2011 Edition.